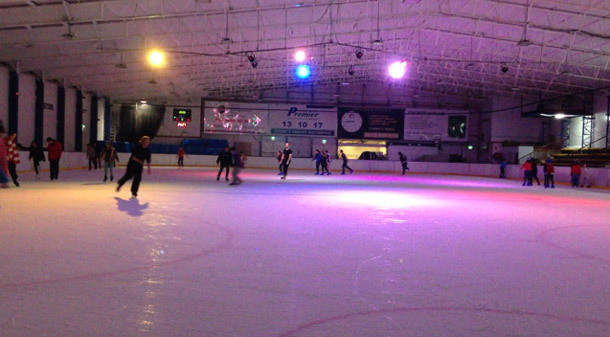 The Canterbury Olympic Ice Rink has a premium reputation as one of the finest ice rinks in Australia, offering a teaching school, figure skating, speed skating and even ice hockey. When it came time to update their lighting fixtures, manager Wayne Disbery looked for a supplier that would understand the demanding nature of the environment, and one that could provide a cost effective and hardy solution to the challenging conditions. “We were keen to replace our old outdated par cans with new LED cans which are more robust and versatile,” said Wayne. Ice rinks are not only cold and wet but also suffer from vast amounts of condensation as the rink goes through its freezing and thawing process. As such the replacement lights would effectively need to be weather proof! We met with Wayne on several occasions and focused on working alongside him to get the best result for the venue. 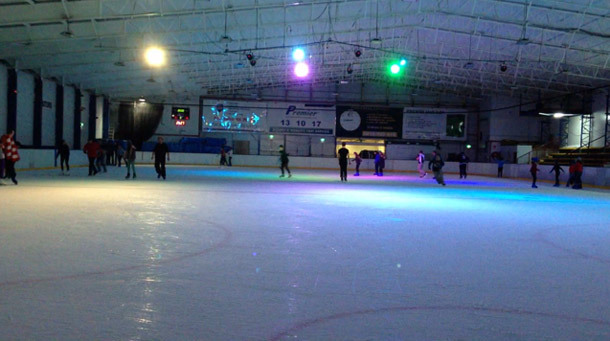 The lighting fixtures needed to be weather proof to withstand the harsh, wintery conditions of the ice rink… so we ended up specifying IP rated Light Emotion LED multipars, as they offer user friendly control, the convenience of LED with exceptional performance and reliability.